4.5" closed. 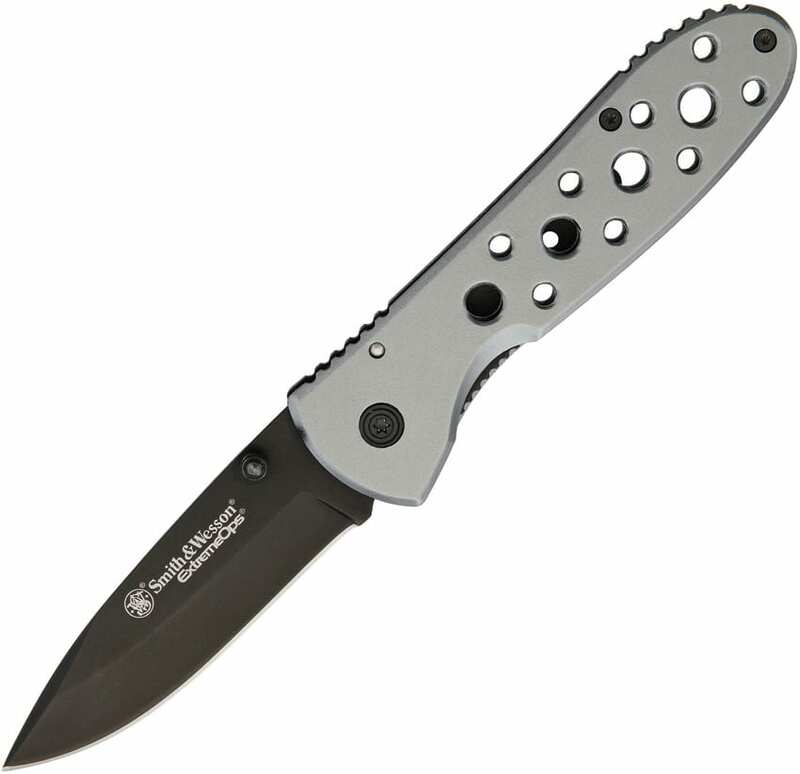 3.5" black coated stainless clip point blade. Grey aluminum handle. Thumb stud. Pocket clip. Lanyard hole. Hang packaged.